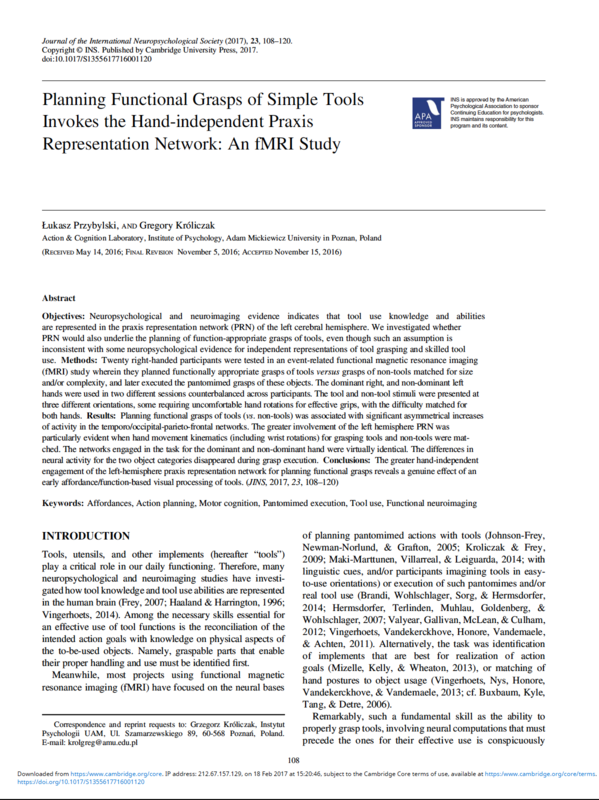 Paper ‘Specialization of the left supramarginal gyrus for hand-independent praxis representation is not related to hand dominance’ by Króliczak, G., Piper, B.J., and Frey, S.H., was accepted in March 2016 for the special issue of Neuropsychologia (An International Journal in Behavioural and Cognitive Neuroscience). 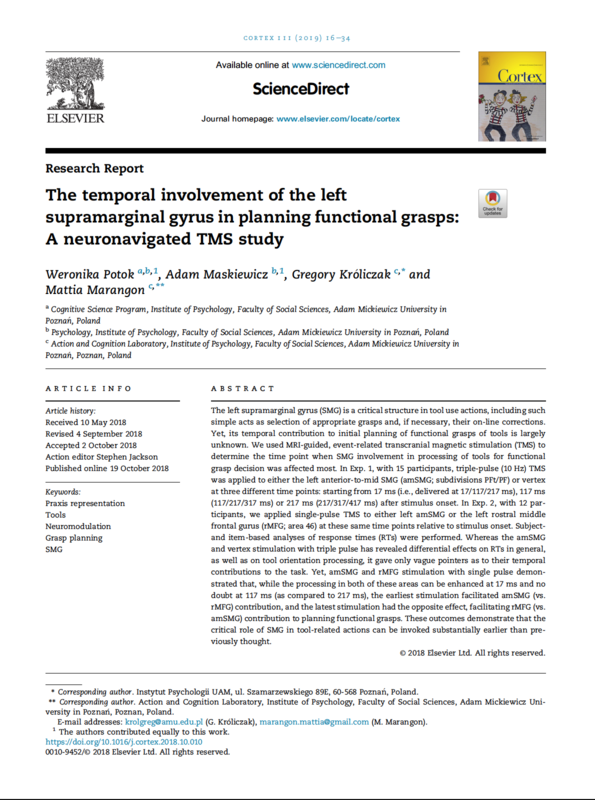 The title of this issue is: ‘The neural bases of hemispheric specialization’, and it is edited by Nathalie Tzourio-Mazoyer and Mohamed Seghier. 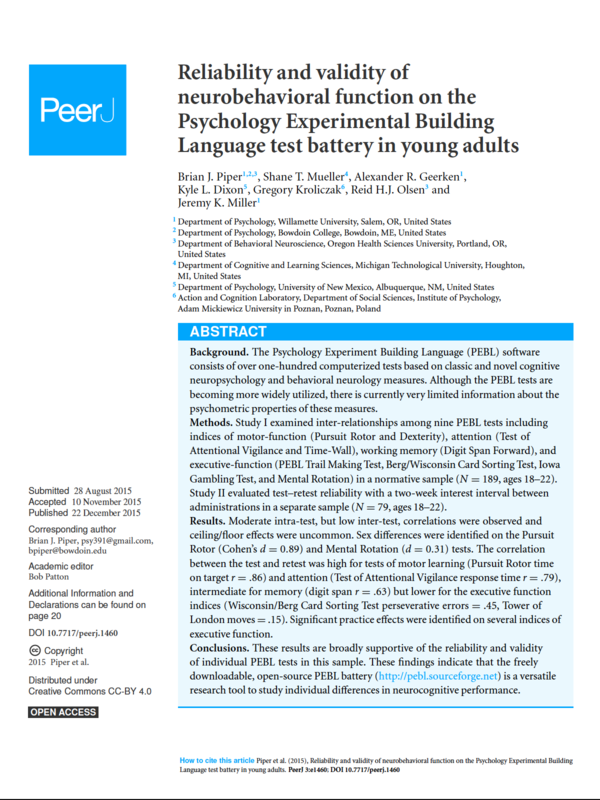 New results from Action and Cognition Laboratory were published in January 2016: Marangon, M., Kubiak, A., & Kroliczak, G. (2016). 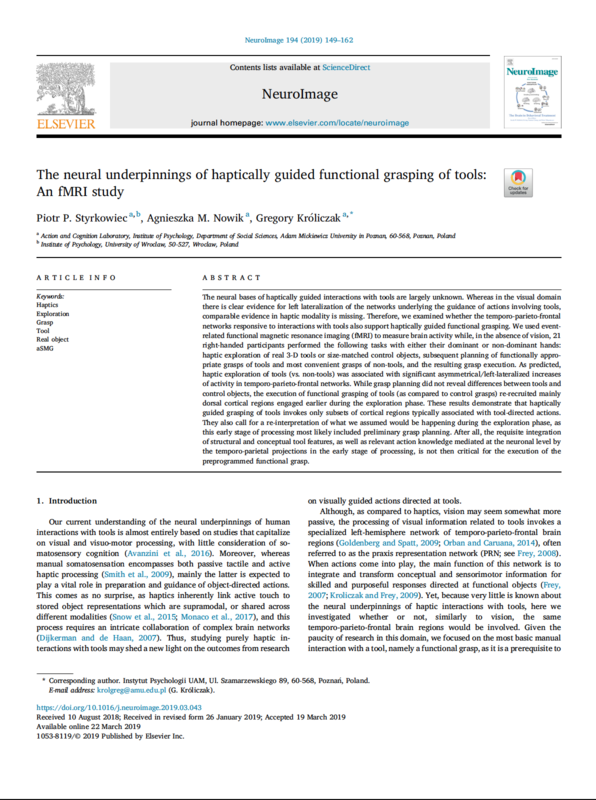 Haptically Guided Grasping. 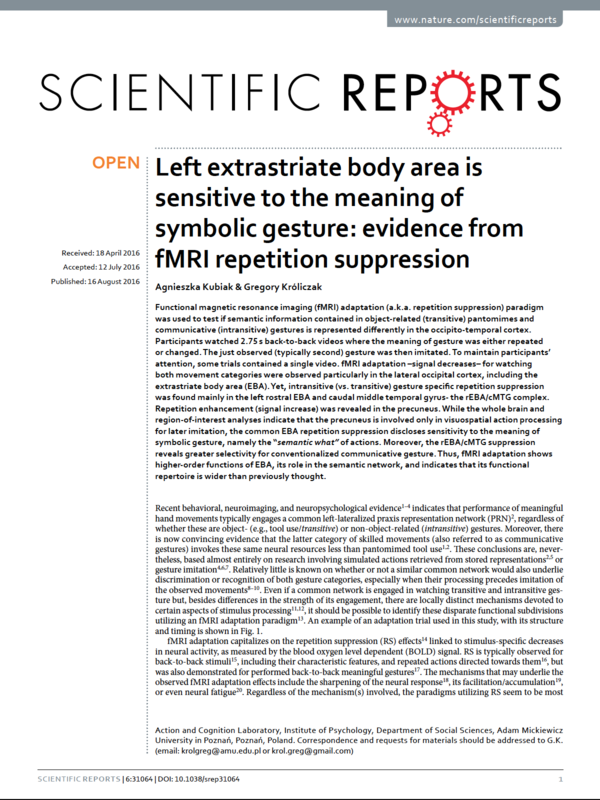 fMRI Shows Right-Hemisphere Parietal Stimulus Encoding, and Bilateral Dorso-Ventral Parietal Gradients of Object- and Action-Related Processing during Grasp Execution. 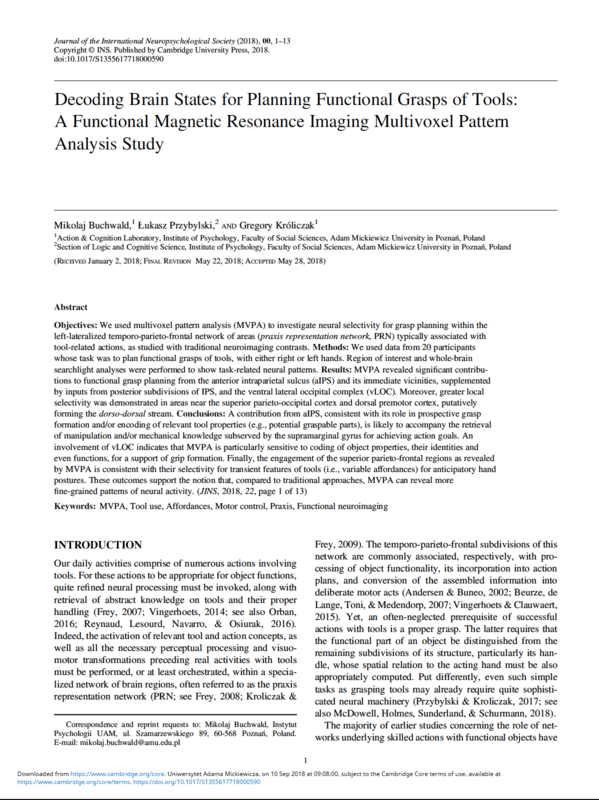 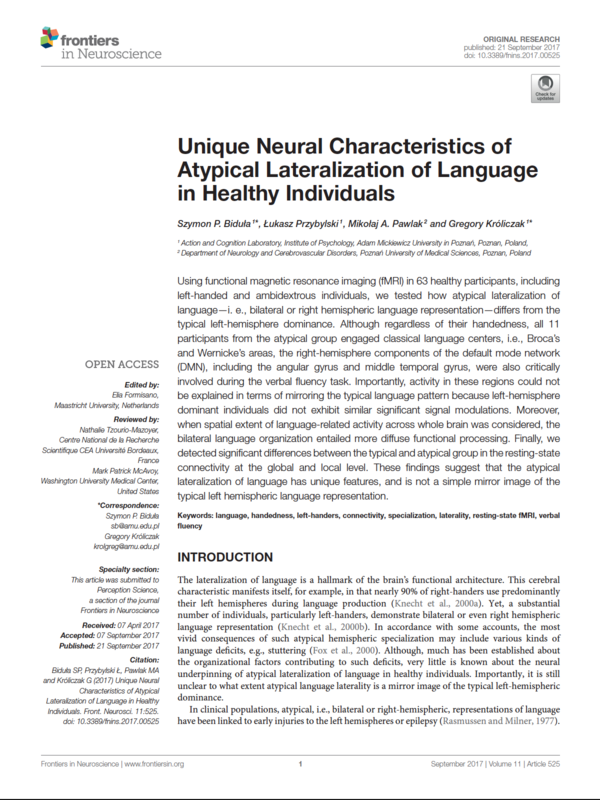 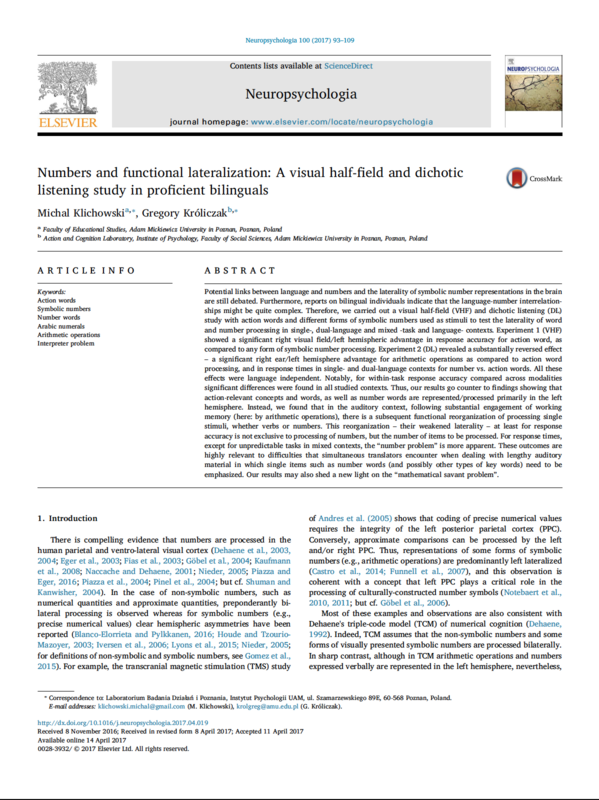 Front Hum Neurosci, 9, 691. doi: 10.3389/fnhum.2015.00691.